No understatement. 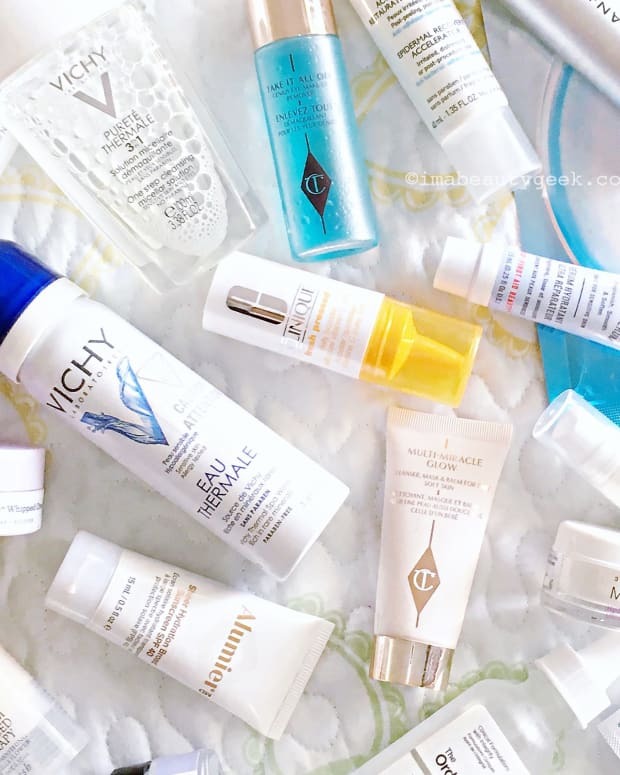 Here are all the reasons Shiseido Facial Cotton is our Holy Grail for life. And beyond. Shiseido Facial Cotton: I always buy two at a time when I finish one package. We don&apos;t know how you spend a Friday night, but apparently we spend ours lurking in random drugstores, offering unsolicited advice to any man who crosses our path. As we loitered at the nail polish display like a couple of 12-year-olds -- "Nails Inc. London!" "Oooh, look -- Quo Purple Daydream!" -- we heard a guy on his cel with his girlfriend. "Yeah, cotton pads," he said as he reached for a sleeve of rounds from a display hook. In fact, we gang-beauty-advised him: "Get the Shiseido cotton pads instead!" "Seriously, they&apos;re the best." "Okay, they&apos;re $11, but they&apos;re worth it." "She&apos;ll love them!" "They&apos;re so soft." "They don&apos;t shred." "Tell her they&apos;re for her face; don&apos;t waste them on nail polish removal!" "They&apos;re almost life-changing." Impressively, the guy managed to listen to his girlfriend, hang onto the Shiseido package we thrust at him, and suss out a spot with good cel reception -- all the while enduring a beauty-jargon downpour over his poor, confused-boy head. Shiseido cotton pads are "water-jet processed -- they go through a curtain of highly pressured water," says Sophie Bissuel, Shiseido&apos;s national training manager. The treatment binds the fibres firmly together; it&apos;s why the pads leave zero lint on your skin when you remove your makeup, including waterproof mascara. Shiseido cotton pads are super soft, yet so sturdy that you can soak one in warm water and use it to smooth away rough patches on lips. Shiseido cotton pads are ideal for DIY face masks. 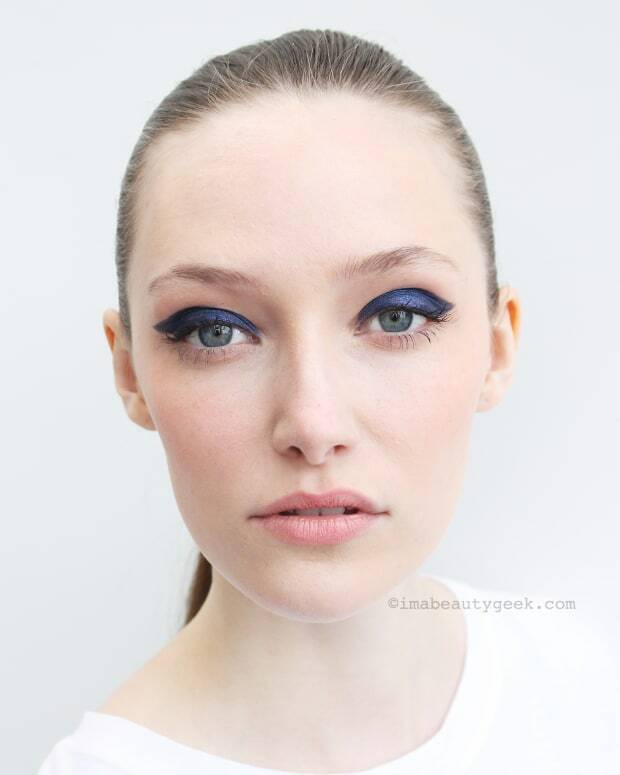 Soak four pads in hydrating toner, then place one on your forehead, one on each cheek and one on your chin, says Sophie. 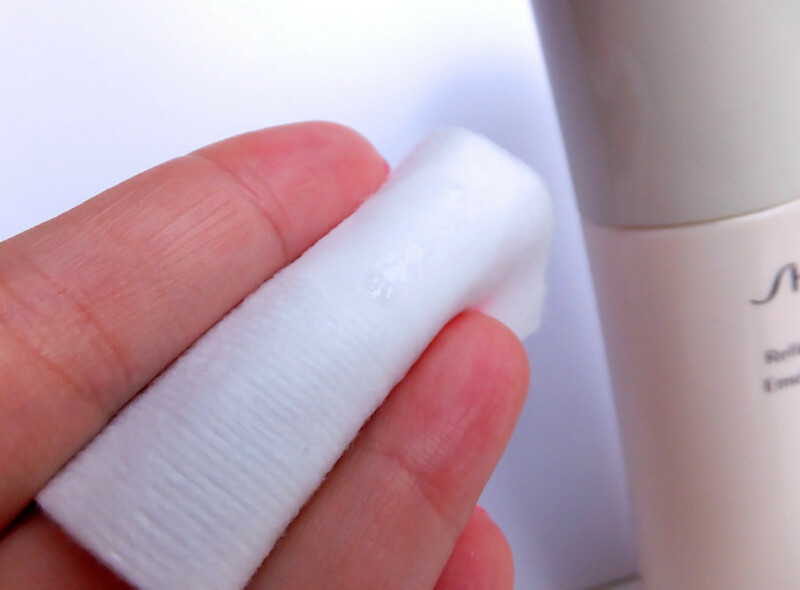 One Shiseido cotton pad soaked in nail polish remover is enough to do all 10 toes. However, JF insists the pads are far too luxurious to waste on polish removal. But you do the math. 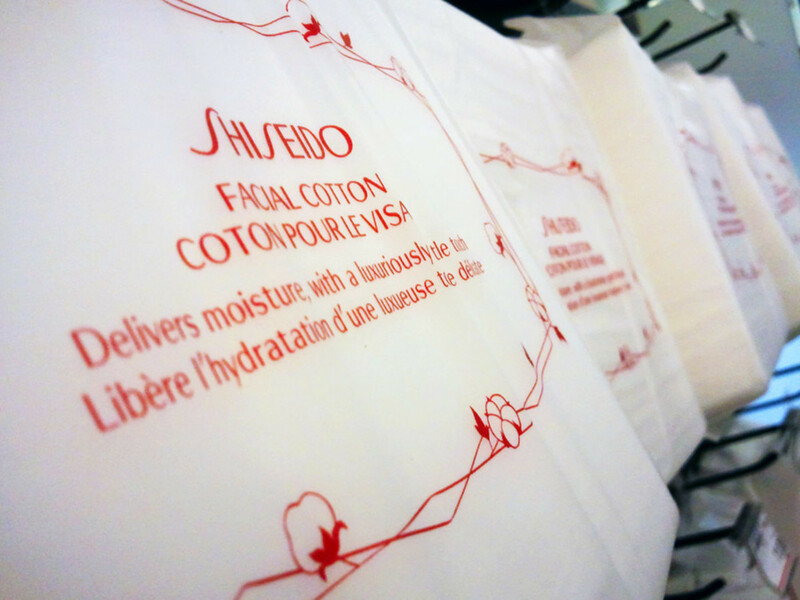 We once heard someone refer to the layers that make up a Shiseido cotton pad as "five millimetres of happiness." "Said no woman, ever," quipped LH. Well, not unless she&apos;s talking about a Shiseido cotton pad. Shiseido Facial Cotton ($11/165 cotton pads) is available at Shoppers Drug Mart, The Bay, murale.ca, sephora.ca, and at Shiseido counters.